My writin g is mainly academic appearing in peer reviewed journals as articles and in edited volumes as book chapters. Typically a manuscript will first appear as a working paper for discussion and publication occurs later. 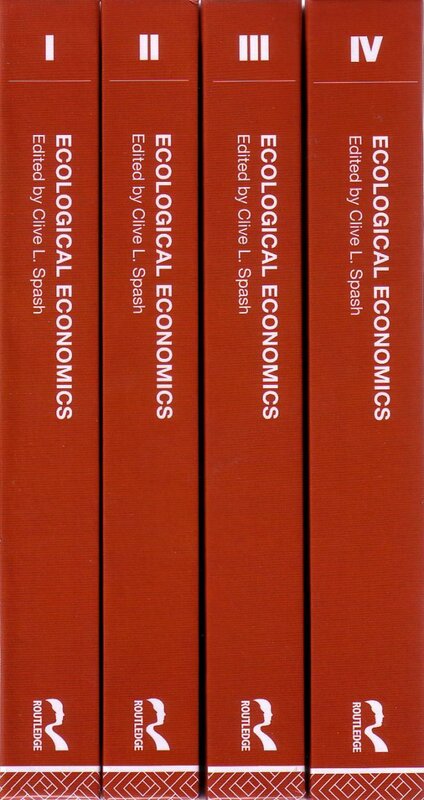 I have also written two monographs and published several edited works, such as the collection on Post-Keynesian and Ecological Economics (external link). 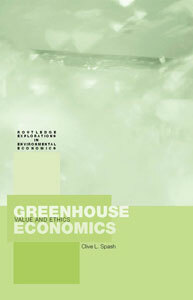 In 2009 I published a major work in 4 volumes on Ecological Economics (external link), bringing together 99 previously published papers by different authors. My written works are listed in different formats on this website. 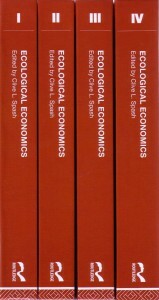 There is a complete chronological listing of books, book chapters and journal articles. There is a separate page for my book on human induced climate change Greenhouse Economics that gives more details and some downloadable chapters. Another chronological listing covers discussion/wor king papers and includes the associated publication in which the work later appeared (where appropriate) or else notes it was unpublished. Book reviews are listed on another page and provide a less rigid outlet for opinion and comment than typical of peer reviewed articles. Finally there are various short pieces including editorials, newsletter items and short commentaries. In addition to these listings there are some topic oriented pages where various materials including publications are brought together, e.g. carbon emissions trading, biodiversity and ecosystems covering issues such as economic valuation, management and biodiversity offsetting.